Sonic the Hedgehog’s special San Diego Comic-Con panel took place today, and while a majority of its focus was on comic books, there was some news regarding his forthcoming Team Sonic Racing game. First off, per a Twitter post from TSSZNews, we got a glimpse of a new track that appears to take place in some kind of frozen world, complete with gold rings scattered around it and a few icy surfaces to race on. But more importantly, fans will be thrilled with the news that a favorite is returning to the series -- Big the Cat! 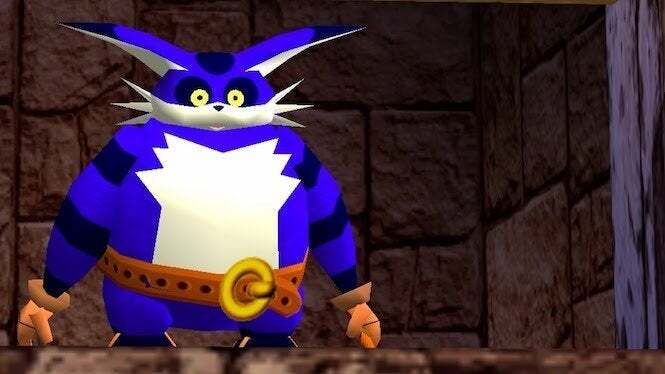 If you recall, this fishing maestro made his debut in the original Sonic Adventure back on the Dreamcast, alongside his beloved friend Froggy. It doesn’t look like the little guy made his trip into the game here...at least, not yet. You can see the first glimpse of gameplay below. Hopefully we’ll be seeing an official trailer featuring Big in action over the next few days. 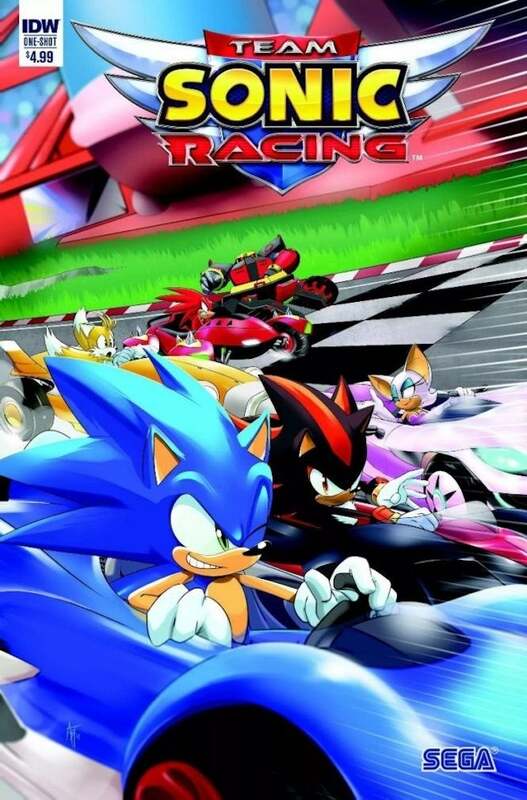 In addition to that, it was announced during the panel that IDW Publishing will team up with Sega to produce a special prequel Team Sonic Racing comic book, which will be available around the same time as the game. In it, we’ll get some of the backstory leading into the events for the game. The story will be put together by Teenage Mutant Ninja Turtles writer Caleb Goeliner, with Adam Bryce Thomas of Sonic fame handling the illustrations. While details on the story haven’t been revealed, “an old foe” will reportedly make a return, all while Sonic and company race around on an alien planet. It’ll be interesting to see where it goes from here. You can check out the cover art below. Want to read more about Team Sonic Racing? Be sure to check out our hands-on impressions with the game to see if it measures up with the previously released Sonic & All Stars Racing Transformed! Team Sonic Racing will release later this year for Xbox One, PlayStation 4, Nintendo Switch and PC.